Shaving is one of those things that people tend to learn by trial and error. Those awkward first few shaves as a teenager are more about trying to avoid doing it wrong than learning how to do it right. Or if you’re using an electric razor, something along those lines. This is actually pretty counter-productive. 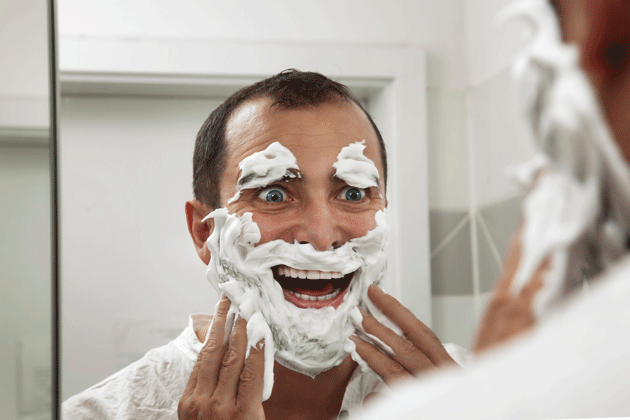 Rushing a shave, not warming up your beard, or using the wrong type of cream can cause lots of issues. Even if you’re doing the above and managing to avoid things like razor bump or burn, you’re still not going to be having the best shaving experience either. This article aims to help correct that. 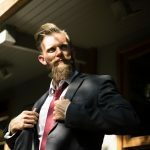 Going forwards, you’ll know exactly how to get the best shave possible, and you’ll notice an immense improvement and increased enjoyment in a previously mundane routine. There are lots of generic guides out there that will not go much further than telling you to shave in the shower or warming up your face first. That is a great tip, but there’s more to it than that. Let’s first of all take a look at the various different types of razors, their benefits and drawbacks. It’s not just a case of wet vs electrics razors these days! 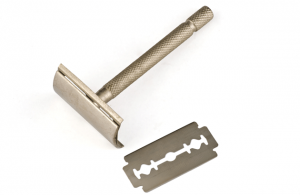 Safety razors and straight edge razors are making a steady comeback. This is not just down to a fashion trend; the older style razors offer a much better shave and more refined experience. 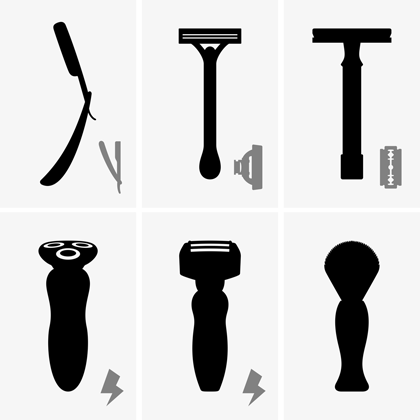 Here are some of the advantages and disadvantages of each razor type. Most people will agree that in terms of shave quality, any blade is better than an electric shaver. That said, there are a few advantages to using an electric. They’re great for travelling (the cordless models at least), they’re generally less messy than using a wet shave, and you don’t need to keep buying cartridges. You can also use them pretty effectively to trim your beard or sideburns. Apart from that though, there aren’t any real benefits in terms of shave quality. Despite what many people might claim, an electric razor isn’t really any faster than a wet razor, unless your stubble just needs touching up. The major disadvantage is that they can lead to skin dryness and irritability. This is what most men use these days. If you’re looking for something that is convenient, and provides a better shave than an electric, then you’ll probably do fine with a cartridge razor. Their advantages are many. They are fast, convenient, and easy to use. As long as you put some shaving cream on and prep your face properly (more on that below), you can produce a decent shave in a few minutes. This is what most people are looking for when they shave. It’s an annoying chore, so let’s get it out of the way quickly right? There are also quite a few disadvantages as well. First of all, it can be pretty expensive to have to keep replacing the blades. Unless you use a cheap brand which is going to shred your face up, you’ll end up reluctantly buying new ones every month. In fact, you shouldn’t really use the average cartridge for more than a week, but most people will inevitably try to prolong them. Once a blade has started to get dull (irregardless of whether the cartridge has 3, 5, 7, or however many blades), it’s not going to be good for your skin. The cynic in me feels that these razors came to prominence because people were too lazy to use better razors, and because manufacturers saw the profit in making us use something that requires repeat purchases. These are still quite popular, and becoming fashionable again as well. I like to think of them as the cross-over from the traditional straight razors, to the modern cartridge razors. They were named safety razors because they were the first design to have protection between the blade and your skin. It was much easier to use a safety razor to shave without cutting yourself than it was a straight razor (aptly nicknamed a “cut throat” razor!). Safety razors also have replaceable blades (which are still easy to get hold of), but you can adjust the length to suit your beard style. This was considered a pretty big innovation at the time. Think of it like being able to adjust electric clippers. Most blades these days are made from stainless steel, which stops them rusting. 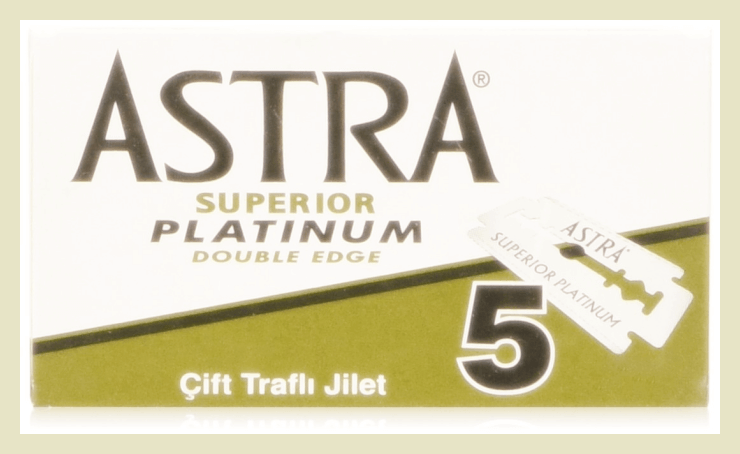 Additionally, as most designs use double-edge razor blades now as well, that makes them a lot more easy to handle. You don’t need the same dexterity that you need for a straight razor, and you can get at your upper lip a lot more easily than a cartridge razor can. As I said earlier, they’re a cross-over between old and new, and have a good balance of convenience and shave quality. They’re also a great entry-point for those who want to investigate some of the more luxurious ways to shave. Shaving how it used to be. Shaving how your Grandfather did it. 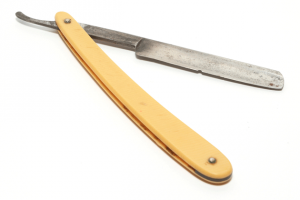 The straight razor was used for a long time before safety razors, and then disposable and cartridge razors made their popularity dwindle. There are still a lot of people who insist on using only a straight razor though, the purists among us. There’s no real debate about whether or not a straight razor will provide a better shave; the straight will “cut” the competition away. I think the only reason they fell out of fashion is because people became busier, and decided they needed to reduce the time they spent shaving. Since modern razors provide a “good enough” shave, most people are happy to sacrifice quality in exchange for convenience. 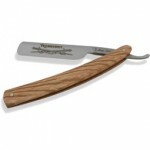 Advantages of a straight razor shave are also numerous. They’re sharper, they provide a much closer shave (you’ll be amazed how smooth your skin can really be), and they don’t require replacing. A straight razor is for life. Unfortunately, they’re not without their disadvantages either. Although they are sharper and don’t need replacing, they DO need honing and stropping. Honing consists of using a sharpening stone to make an “edge” on the razor. A good edge should last a few months. Stropping is something that you need to do before (and sometimes after) every shave. This involves running a leather “strop” up and down the blade to get it back to optimum sharpness. 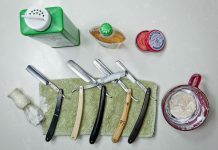 As you can imagine, this means a straight razor shave takes considerably longer than if you used another type of razor. Many people find this relaxing though, so even a disadvantage can be advantageous. Whatever type of razor you use, you should always pay close attention to the pre-shave. Believe it or not, there’s a lot more to it than just slapping on some shaving cream. You should prep your face and your razor alike. A lot of people will advise shaving in the shower. This isn’t bad advice, but it’s not always convenient either. The reason a shower is so good is because the things that are best for prepping your beard are moisture and heat. Both will help soften up the hairs, making them more supple and easier to cut. I actually don’t recommend you shave in the shower though, it’s lazy. Either shave immediately after showering so your skin is still hot and wet, or use a face cloth to get the job done. Using the latter, soak your beard for a good few minutes. Make sure your face is clean either way. Washing is good for you. Before adding shaving cream, you can also use some simple exfoliation lotion to get some of that dead skin off. Shaving itself is going to take up to two layers of skin off your face, so it’s much better to get the dead skin off first. This will stop it gunking up your blade, and also leave you feeling much smoother afterwards. As well as that, your razor will glide across your skin if you’ve exfoliated first. All you really need to do is put some lotion in your hands, rub it in circles across your beard (circular motions are best for getting the skin off) and then rinse. This might seem a little over-the-top, but try it once and you’ll see a huge difference. 1.) 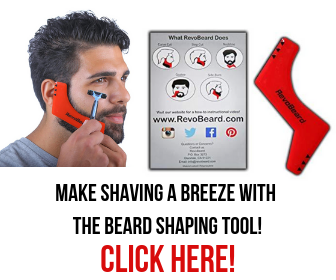 Helping the blade run more smoothly across your face without cutting you. 2.) Locking in the moisture. Because of the second purpose, it’s essential that you don’t just start shaving as soon as you’ve finished applying the cream. Give it at least a minute to soak into your beard and keep those hairs shave-ready. Once you’ve shaved over your beard the first time and removed most of the hair, it’s a good idea to apply a second, thinner coat of cream and doing a second pass. The best way to avoid wasting cream, getting a nice smooth lather, and applying it evenly to your face, is to use a shaving brush. The most common types are badger hair, but you can find boar hair brushes and even horse hair ones that exist as well. There’s an excellent article on the different types of hair here. Your budget will dictate what type of brush you go for. One of the highest quality is the silver hair badger brush, which is taken from the soft hair around the badger’s neck. As well as providing a better shave, this is probably the most relaxing part of the whole shaving process. 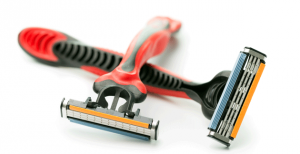 If you’re going to use an electric razor, you should still use some lubrication. 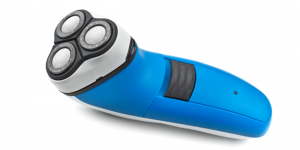 There are a few good types of pre-shave lotions out there that are specifically designed for electric razors. This is what you want. Follow the previous instructions about washing your face, exfoliating, and using heat/moisture. Unless you’re using a straight razor, you won’t have a whole lot of preparation to do to your razor. 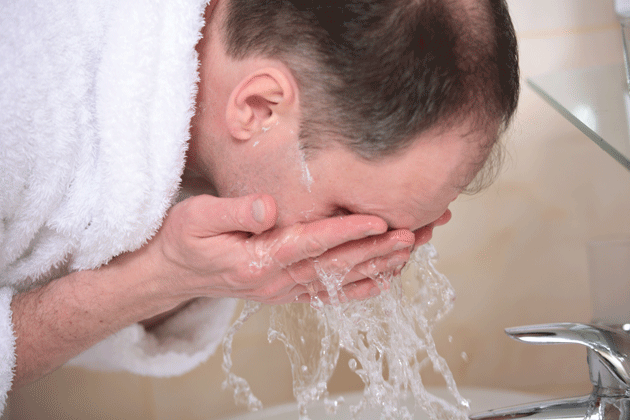 Giving it a rinse in hot water before you start shaving is enough in most cases. Please note here that the hot water is only to heat the blade up, which adds to the smoothness of the shave. It’s got nothing to do with sterilization, which would require stronger stuff than hot water. You can use cold water if you have to, and when rinsing the blade between strokes, both hot and cold are fine. I just find that hot water makes the razor feel better on my face. 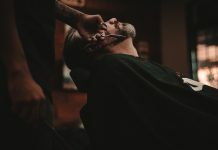 If you ARE using a straight razor though, I’d suggest reading this article. The best way to shave, no matter the blade, is using what’s known as the three-pass shave. However, most people are too impatient to do this. If you decide that it’s more effort than you’re prepared to spend, you should at least pay attention to the fundamentals; knowing which way your hair grows. Everybody’s hair grows slightly differently, so the best way to figure it out is to run your index finger across your face (move towards the ear from the mouth, and back again, and down the neck etc) and you’ll find one direction is more stiff than the other. The direction that gives you more resistance is against the grain. For most people, moving away from the mouth is usually with the grain (except for the the lip, in which case you move away from the nose to go with the grain). It’s also important to note that you should use short, light strokes. A lot of people feel tempted to press too hard or to try and get everything off with one stroke. This is going to lead to irritation or cuts, and you’ll not be able to get the stubble as cleanly off as you hope. If you want a one-pass shave, it’s fine, but make sure it’s with the grain. When you shave with the grain, you’re reducing the chance of pulling (or tearing) hairs, shortening them for an easier second pass, and getting the majority of hair off. 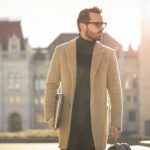 Considering that most cuts and nicks occur during an against the grain pass, it makes sense to get your face as clean as possible before going against the grain. If you dive straight into an against the grain shave, you’ll be much more likely to cut yourself or end up with razor burn or skin irritation. 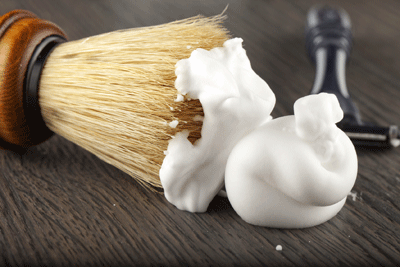 Rinse your razor, add a thin layer of cream again, and shave across the grain. Remember to pay attention to how your stubble grows, because what you think is “across” in some parts might not be accurate. Note: You can skip this stage if your stubble isn’t particularly long, and when shaving the upper lip. Shaving against the grain is the best way of getting the hairs cut off as close to the skin as possible. As long as you’ve already done most of the work in steps one and two, and make sure you re-apply some cream, you’ll be able to shave against the grain safely. Why do you need to reapply cream a third time? Well, that’s simple. By the time you’ve gone across your face two times, you’ll have removed up to two layers of skin already. This means the skin you’re shaving on the final pass will be much more sensitive and susceptible to irritation. Also, when you apply the cream the final time, your fingers will naturally find patches of stubble that you’ve missed on the other passes (usually it’s the upper part of your cheeks) and you’ll be able to make sure you get them this time around. How you hold your razor is important too. This isn’t just for guys using straight or safety razors. Even a cartridge razor needs to be held correctly. Below are some images of the correct ways to hold a safety and straight razor. Why does the grip matter so much? Because if you’re not holding it correctly, you’ll be more likely to slip and cut yourself, tear hairs out, or find some parts of your face hard to get to. A straight razor poses the most difficult challenge in terms of getting the grip correctly, so it’s worth practicing on a balloon first. 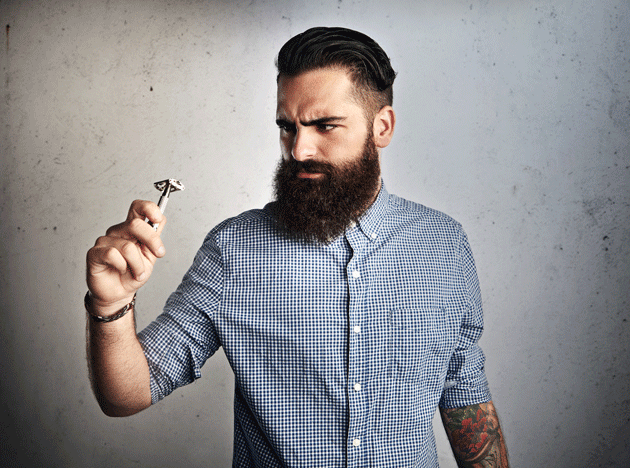 If you can “shave” it without bursting it, you’re ready to try it on that face of yours. Hurray! You’ve made it this far, and your skin is now squeaky clean and as smooth as the day you were born. Only one thing remains, you’ve got to take care of your face (and razor) to make sure you get the most out of all that work. Sprinkling on some aftershave and walking out of the bathroom with a whistle is all well and good, but how could you do it better? Paying attention to your skin once you’re done is just as important as the other stages, but needn’t take up a lot of your time. Many people will tell you that hot and cold water is for opening up and closing the pores of your skin. I was one of those people until someone recently pointed out that I was wrong. While using hot water pre-shave is good for loosening dirt and sebum from your pores, it makes no difference to the size. Therefore, when you rinse, it really doesn’t matter (unless I’m still wrong), what temperature the water is. Here’s an article about skin pores. Don’t rub your face dry, pat it! You’re trying to avoid irritation here. No matter how sensitive or tough your skin might be, you always want to be patting it dry afterwards. There are plenty of aftershave products out there, and the primary function of a lot of them is for closing the pores. This isn’t a bad idea, especially as rinsing with cold water might not get the job done. However, moisturizer is also important because it will help soothe the skin. Remember what I said earlier about how shaving can take up to two layers of skin off. That newly exposed skin is going to be a little raw, and moisturizer is the best thing you can give it. There are a lot of aftershave balms that will do the job of closing the pores and moisturizing your skin at the same time, so everyone is a winner. Balm’s primary job is to soothe your skin, but it does still come with a scent as well (usually a more natural smelling one). If you want a stronger scent, then more traditional cologne style aftershave is probably better to use. I’d still advise the use of moisturizer before putting on aftershave though. You can rinse your razor with either cold or hot water, although most people use hot. The primary purpose here is to get all the gunk off and make sure it’s not going to go to dull before your next shave. Use tissue paper to dry off any excess moisture as well, as you don’t want oxidization to set in. Even Stainless Steel can rust, so it’s better not to let moisture build up. If you have access to a soft makeup brush or similar, you can use this to clean excess dirt from the blade. Make sure it’s a soft brush that won’t damage the blade. Razors are going to naturally get duller anyway, but proper care will reduce this. If your blade has a cover, put it on. Keep the razor in a dry place as well. 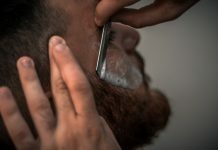 For those of you with a straight razor, you can read this article about razor maintenance to make sure you’re treating it properly. Some people will recommend applying razor oil to the blade, and even more people like to put a very small amount (pea size) of anti-bacterial soap onto their razor as well. This comes down to your personal preference really. I’d say that oil is only necessary for a straight razor, but soap could work for any blade. Remember that if you do use any soap, use a small amount, rinse if thoroughly, and dry it off. 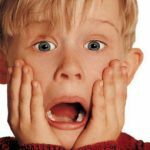 For the last part of this article, I’m going to cover things like razor bump, skin sensitivity, and so on. If you follow the suggestions already mentioned in this article closely, you’ll most likely avoid razor bump/burn entirely. However, if you do end up experiencing it, here are a few things you can do to cope. 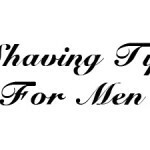 Until the irritation has gone down, you should stop shaving for a few days or until it feels less painful. Some products are great for hair removal without a razor. This is something more commonly used on women’s legs, but if your skin hurts to shave, it’s a good option regardless of your gender. Make sure that you choose a natural product and not something full of chemicals. Avoid lotion that contains alcohol (another reason why using balms post-shave is better). Instead, use lotions that contain salicylic acid or glycolic acid. Practice makes perfect, but sometimes you lose concentration for a second and cut yourself. Obviously the solution is to not shave in a hurry, make sure your blade is sharp, and use warm water and cream to keep the hairs supple. However, if you DO end up with a cut, the following tips will help you treat it. If you’ve got no other method at your disposal, sticking little squares of toilet paper on your face until the blood clots up is your best bet. However, there are many reasons why this isn’t ideal. Firstly, it can sometimes take a long time to clot (especially if it’s a lip cut). Secondly, you might forget it’s there before you leave the house, or you don’t have time to wait for it to clot. It’s better to use something else instead. 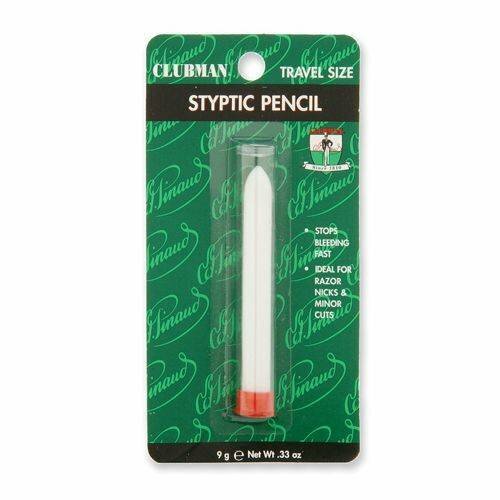 Inexpensive but very effective, a styptic pencil will stop the bleeding almost immediately. Generally you just need to place it against your cut (after wetting the tip) for a few seconds and tolerate a small sting. They use a mixture of minerals and are not alcohol based. 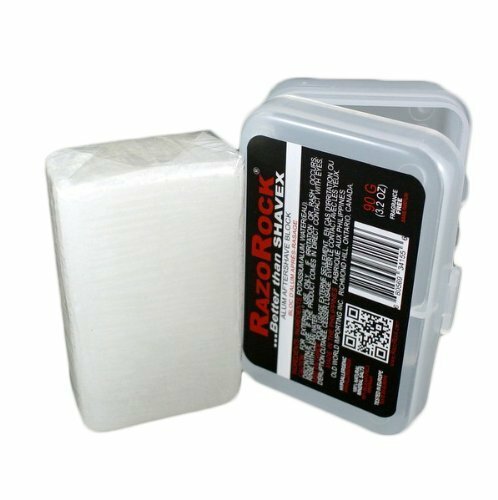 An alum block is like a bar of soap made of Potassium Alum. You wet it and then apply it to your whole face to help stop blood-flow. Use a styptic pencil to treat one or two cuts, and an alum block for the entire face. If you’re new to shaving and cut yourself off, or are trying out a straight razor, it’s advisable to invest in one of these. A lot of aftershave also acts to stop cuts bleeding too badly. These tend to sting quite a lot, but are effective for both small areas, and your entire face. To learn more about various products, read here. There’s an absolute ton of information in this article for you to digest. In fact it might be almost overwhelming. I bet you didn’t realize there was so much perfection to getting the right shave. My suggestion would be to work on one thing at a time. Get your pre-shave right, then work on the post-shave, and so on. It won’t take long to get everything mastered. While there is a lot to take in, it’s all simple to follow, and I’m confident that your face will be thanking you for it in no time. If I’ve missed anything out or you have any comments or questions, feel free to ask them below. Previous articleAre Straight Razors Safe? This is without question the best breakdown on Wet shaving as a whole. Congats on an amazing job! Thanks Phil! It was a lot of work, I’m glad that you appreciated it. Great detailed article! 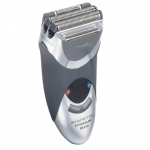 As far as the electric shavers which one would you recommend? Looking to get my husband one for Christmas. Great article….to read from a women’s perspective since it is hard to understand sometimes. However, irregardless is not a real word and you’ve used it in your article!